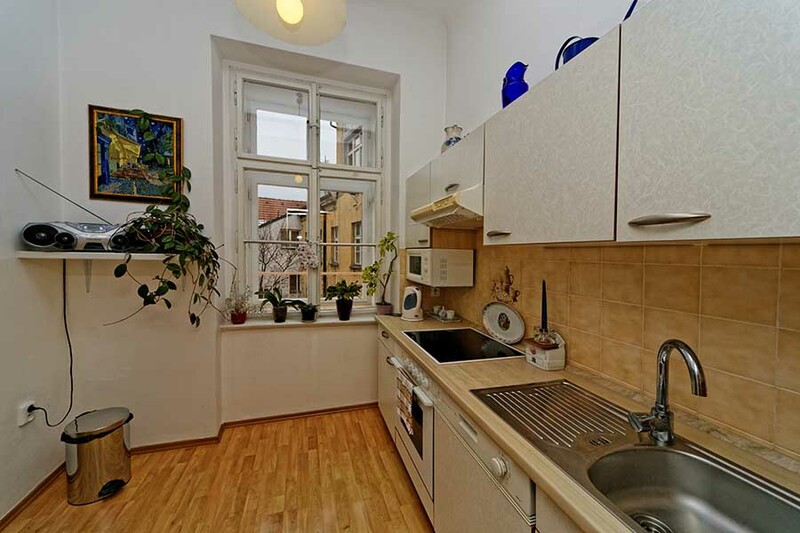 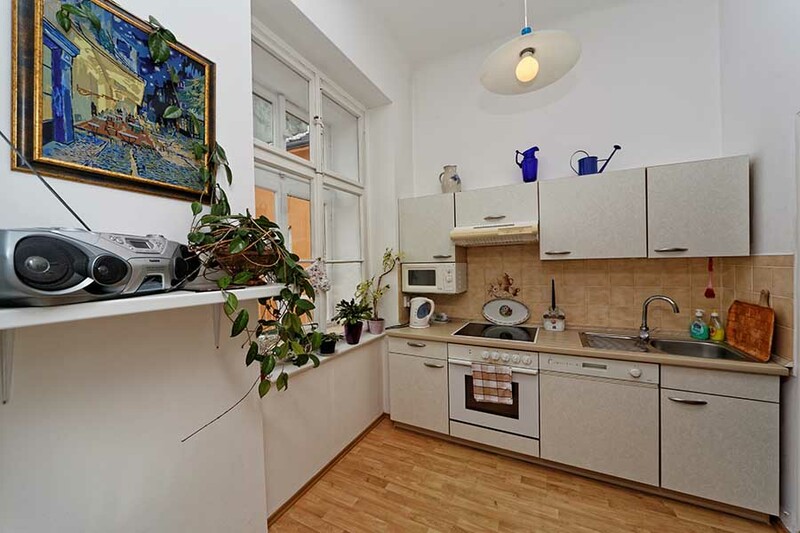 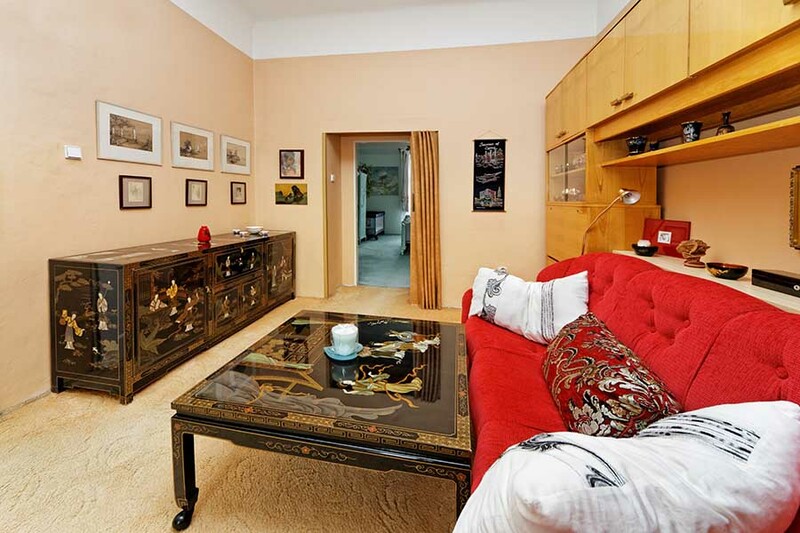 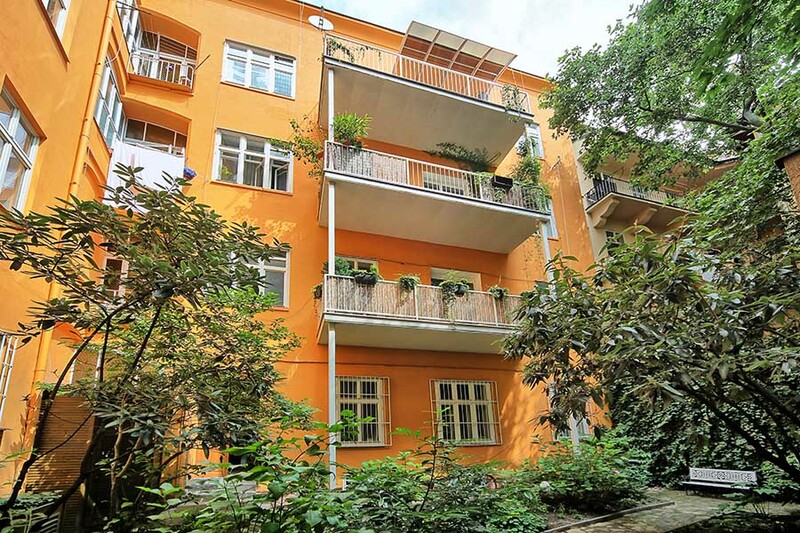 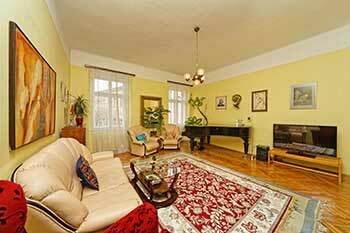 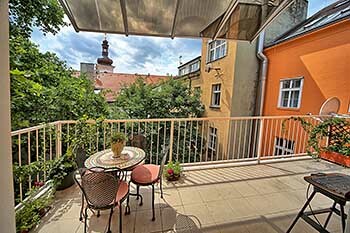 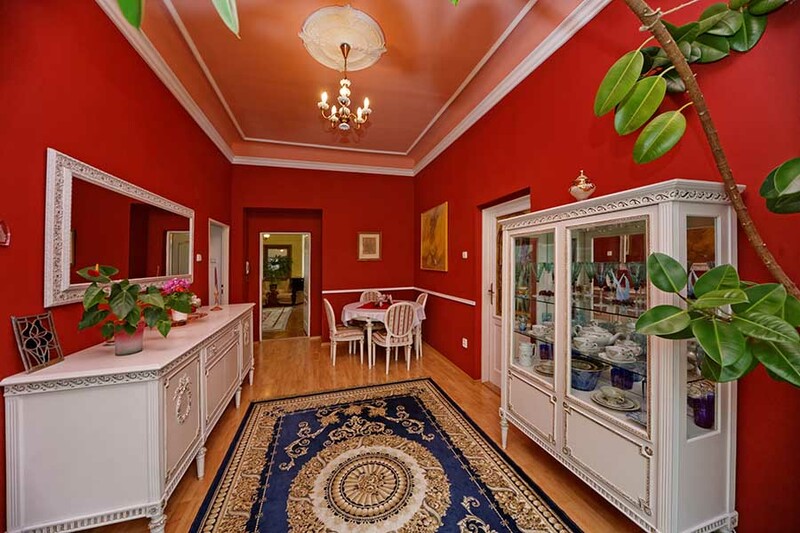 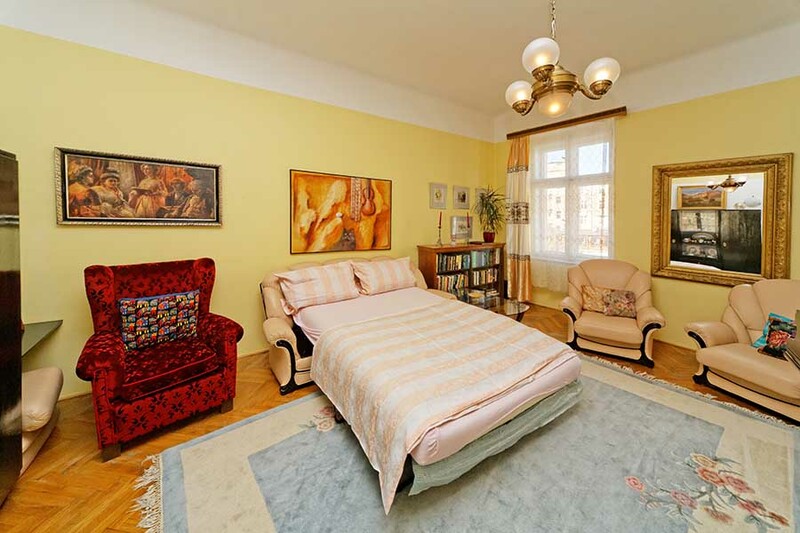 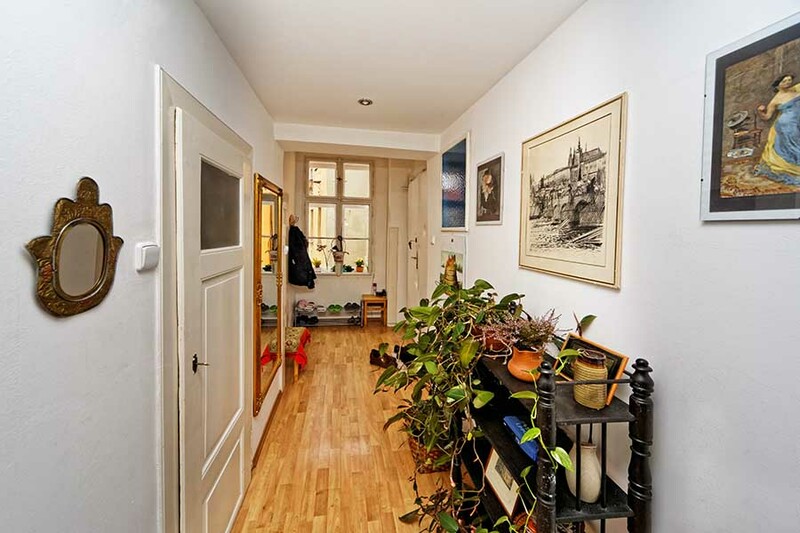 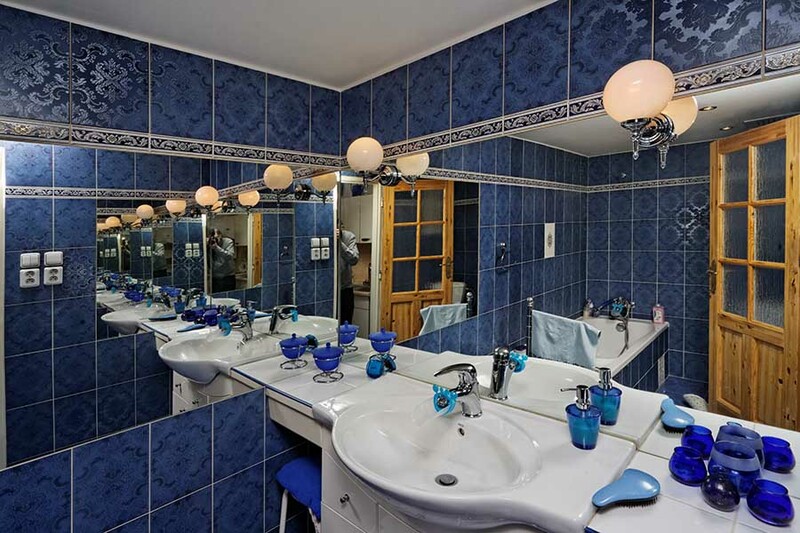 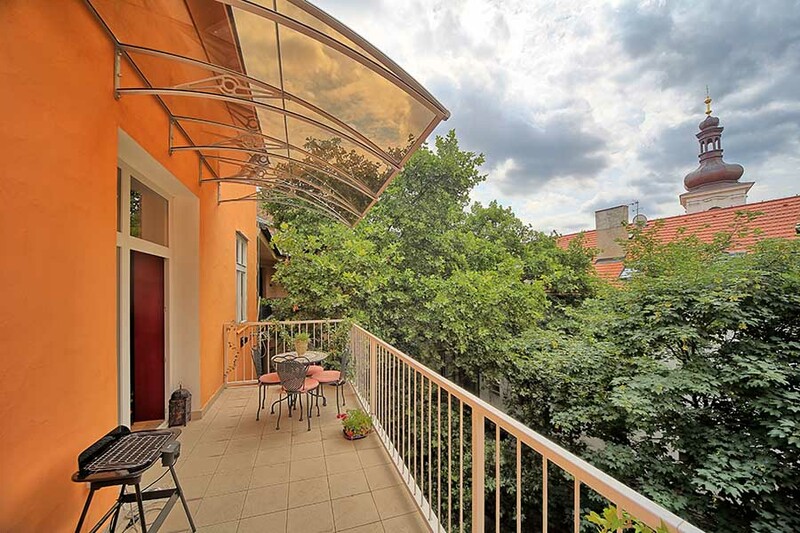 The apartment is situated in a quiet street Ostrovni, located in the centre of Prague, close to the National Theatre and the underground stop "Narodni". 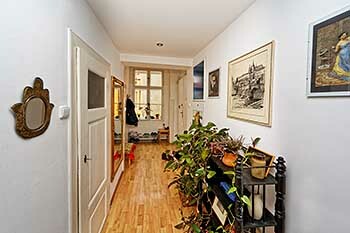 All Prague's principal sights are within walking distance - Old Town square and Charles bridge are 10 minutes on foot. 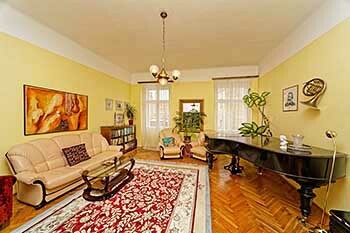 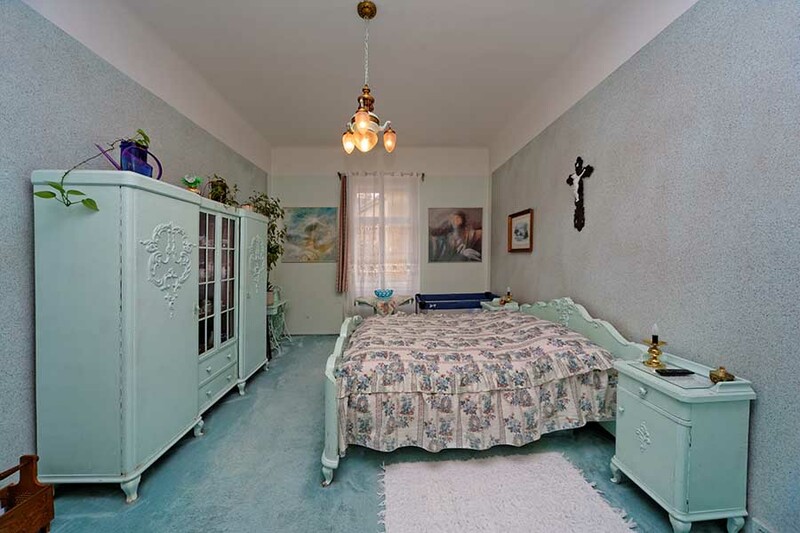 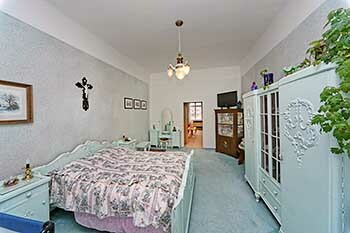 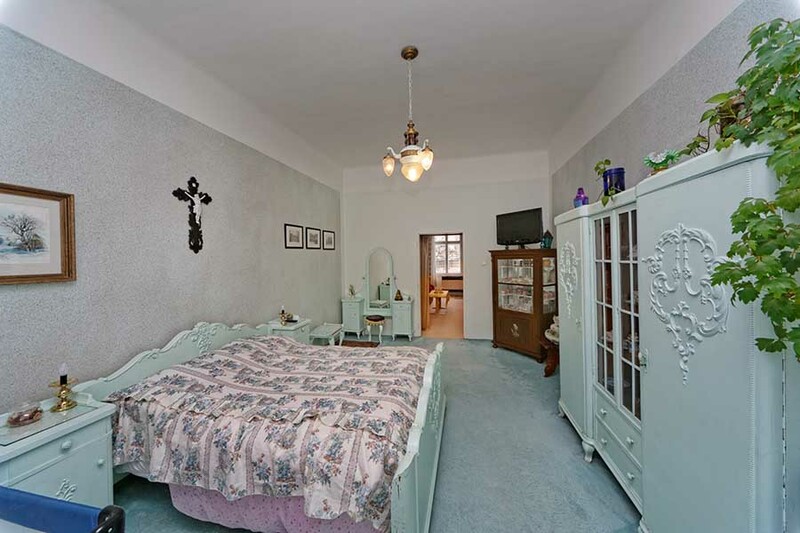 The apartment is in a recently renovated apartment house, on the third floor with elevator. 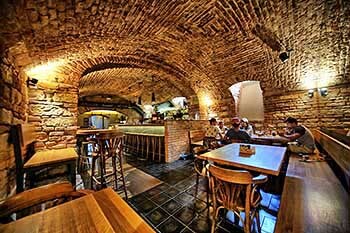 There is a restaurant directly in the house. 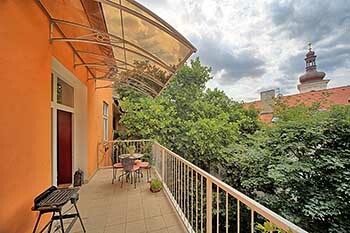 The apartment has one large bedroom with a double bed and two living rooms with another 4 extra beds available, dinning room, fully equipped kitchen, large terrace, bathroom with bathtub and toilet. 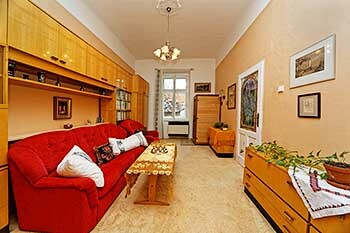 High-speed Internet connection included in the price. 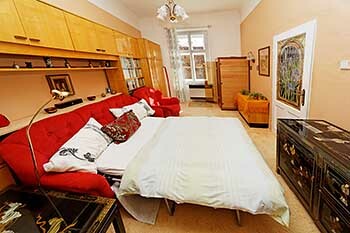 The apartment is spacious enough to comfortably lodge 6 people. 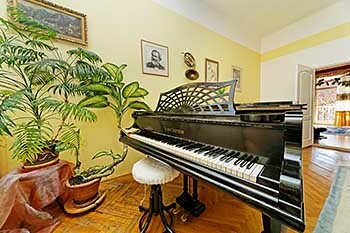 The room has a double sofa bed (140 x 200 cm), a superior quality forte-piano, TV set with satellite reception and hi-fi system. The dinning room is in the centre of the apartment and has a large glass door to the terrace. 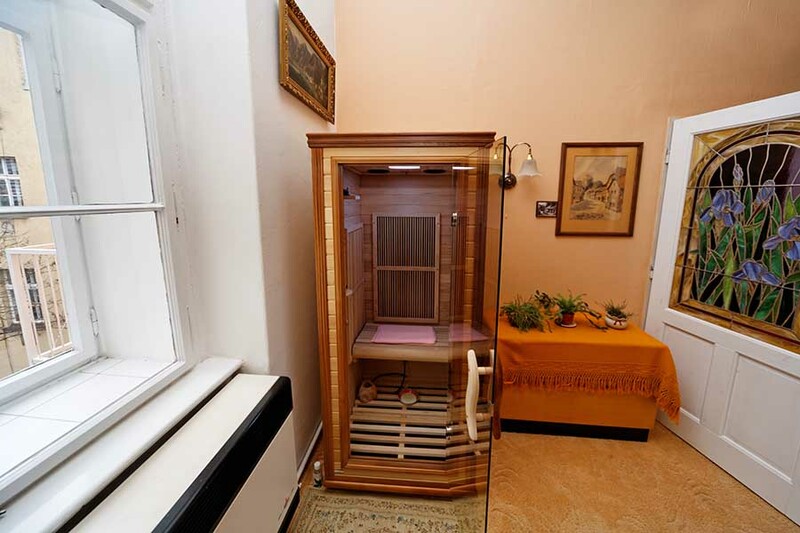 This room has also a double sofa bed and there is a infrared sauna. The kitchen is equipped with electric cooker, refrigerator, microwave owen, washing machine, dish-washer, electric kettle, toaster, kitchen sink and other cooking equipment. 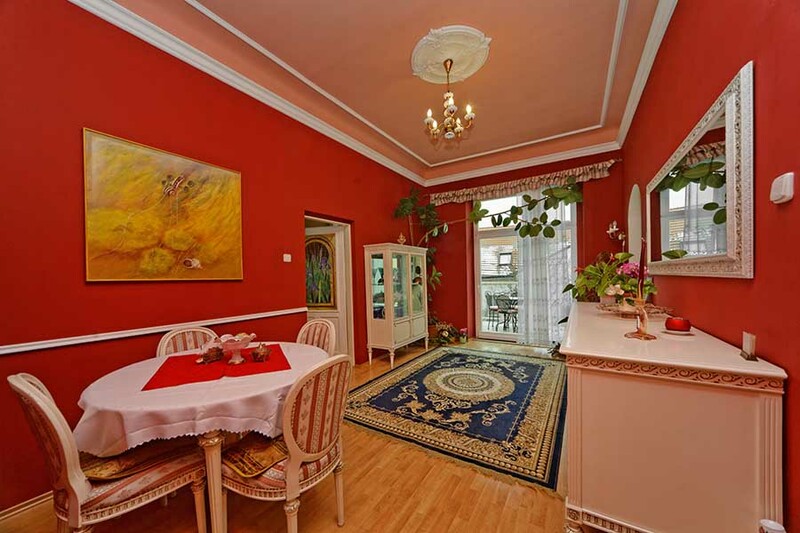 From the dining room there is a door leading to the terrace with view over the roofs of the neighbouring houses. 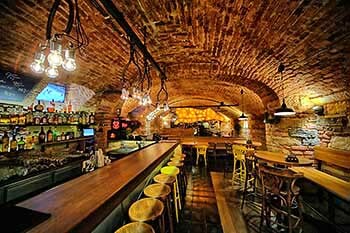 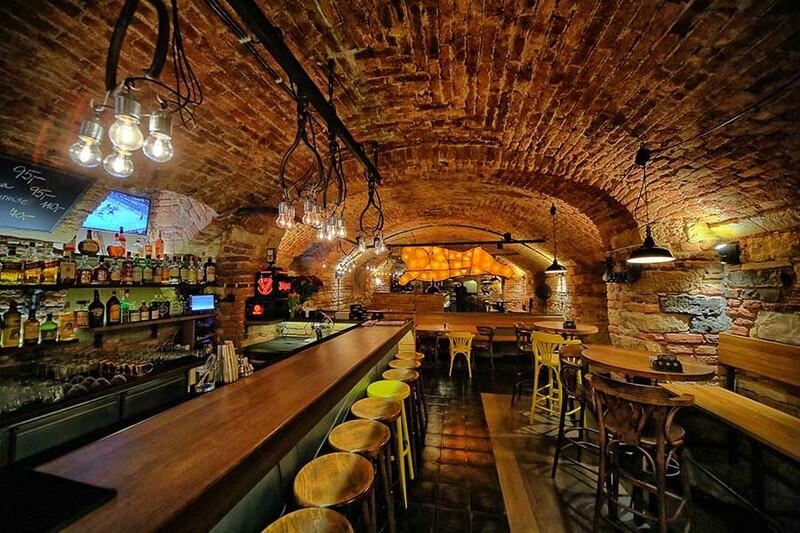 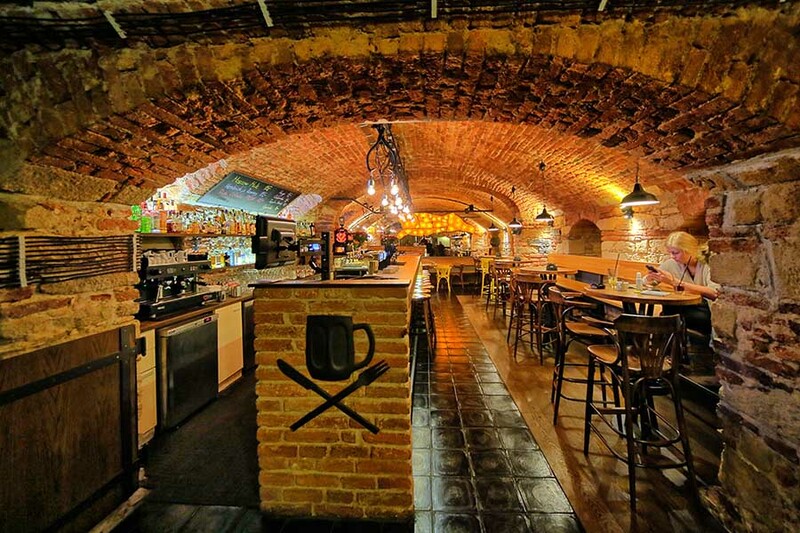 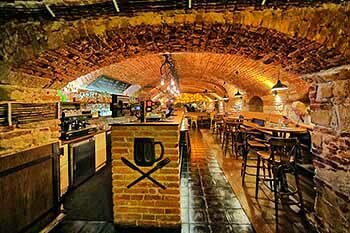 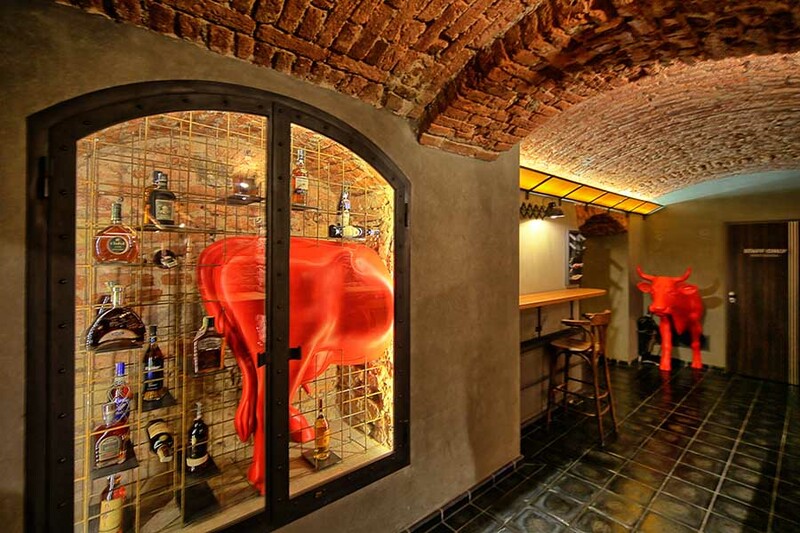 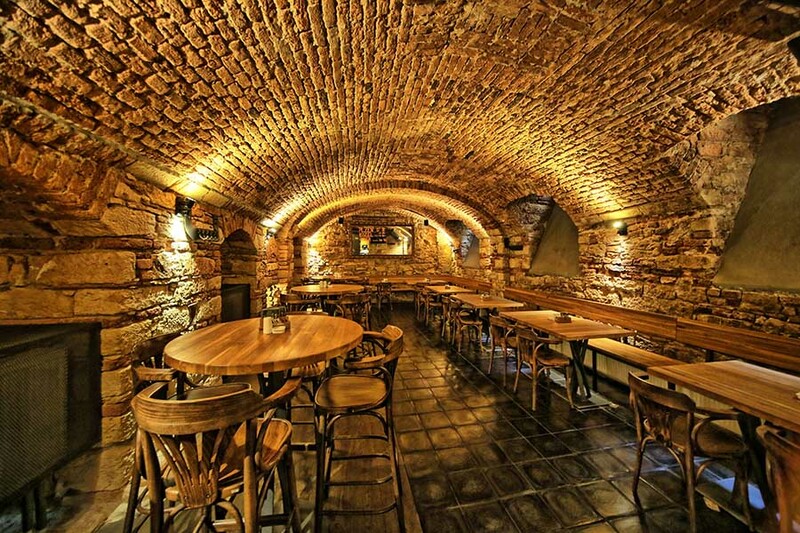 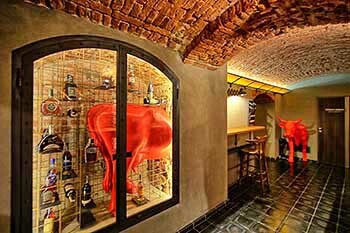 There is a new design restaurant Ostrovni / Serial Burgers in the spacious cellar of the house. Nové Mesto in Prague1 (New Town) was founded in 1348 by Charles IV just outside the Old Town (Stare Mesto). 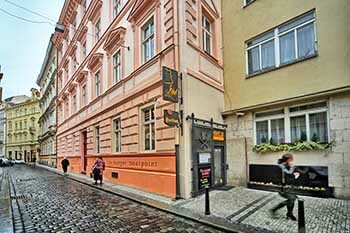 Historically, from the Middle Ages until 1784, Prague was composed of 5 quarters: Stare Mesto (Old Town), Mala Strana (Lesser Town), Hradcany (Castle quarter), Nove Mesto nad Josefov (Jewish Town). 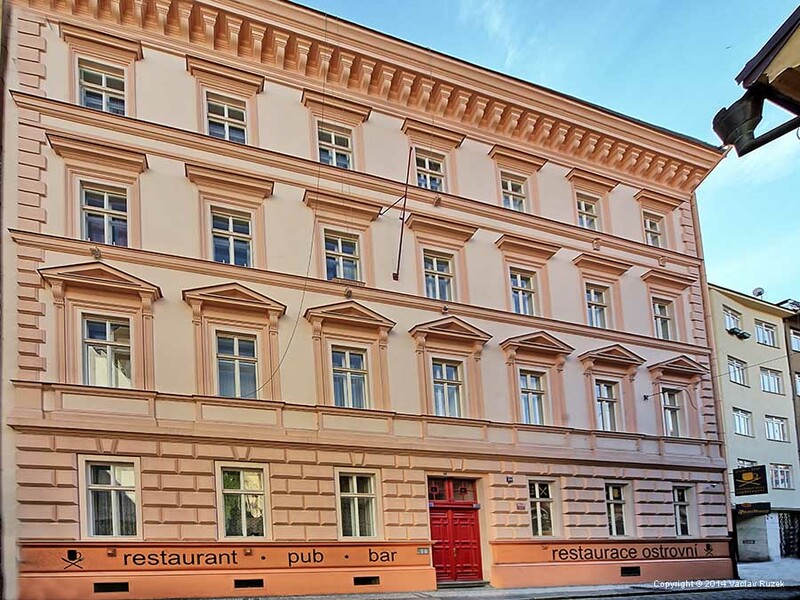 Nove Mesto is today an important part of the Prague´s centre with sights like National Theatre or National Museum as well as many good restaurants, beer pubs, clubs, art galleries and excellent shopping opportunities. 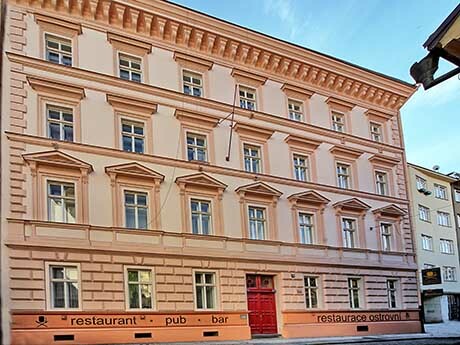 Very close to Ostrovni Apartment are National Theatre (you can use also its parking garage if you arrive by car), well-known historical brewery and beerhouse U Fleku, shopping centres Quadrio and My Národní as well as Reduta Jazz Club, Rock Café, Rock club Vagon etc. To the edge of the Old Town its only 2 minutes walking. The price is dependent on number of nights and season. We will send you an individual offer. We are the direct operator of this apartment. 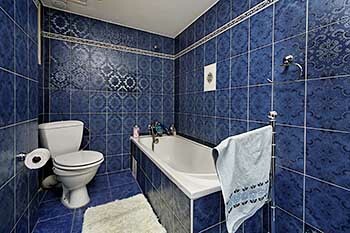 Prices include bed linen, towels and gas/electric consumption, but dont include breakfast. The apartment owner, which is living in the neighbouring flat, is offering optional breakfast service. 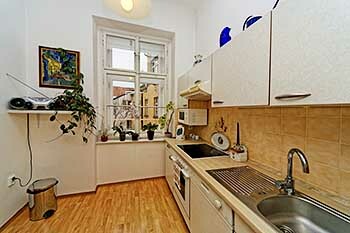 She can prepare each morning a breakfast for you for 5 € per person/day and bring it to your apartment. 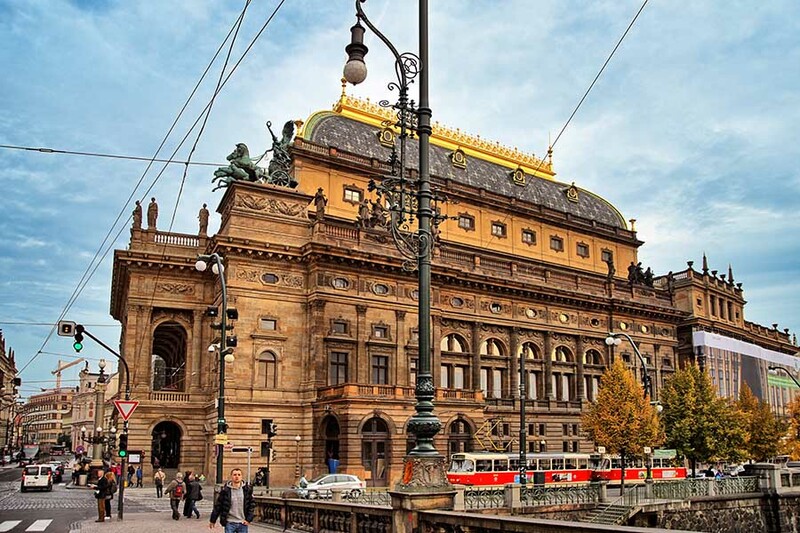 Secure parking available in the garages of the National Theatre, 3 minutes on foot, price 22 € per day. 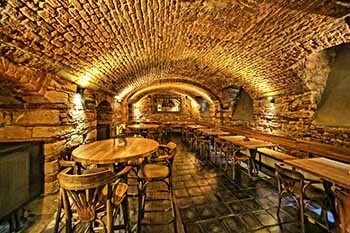 Airport/train/bus station transfer for 26 € (4 persons), minibus 38 € (up to 8 persons). 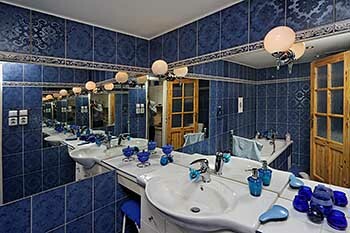 For New Year reservation there is a 5 nights minimal lenght of stay (or the minimum total 1250 € independent on number of nights).